Are you looking for some good biographies. Read this article to know about top bestsellers biographies available at Amazon with cool discount and free delivery. Are you looking for some good biographies or autobiographies available for online shopping? I have listed below a few for you. All thee books are available on Amazon at very reasonable price. You can also order the eBook version of these really good reads. I have listed the prices of both hard-paper and eBook version of these books. Every cricket lover in the world know about Sachin Tendulkar. He is undoubtedly India's biggest sporting icon. You may have heard a lot of inside stories of this man in the news or internet. But it is always less we read about our Little Master. ESPNcricinfo has come with an amazing biography on Tendulkar - Sachin Tendulkar: The Man Cricket Loved Back. This book is a writing through the eyes of various cricketers and cricket experts who have wathed Tendulkar from very close. Sourav Ganguly, Rahul Dravid, Allan Donald, VVS Laxman, Aakash Chopra, Yuvraj Singh and Sanjay Manjrekar are some of the cricketers whose perspective about the Little Master is given in the book. Apart from this there are few interviews of this cricket legend by different cricket experts like Sharda Ugra and Rohit Brijnath to read. I don't think any cricket lover or a Sachin fan is gonna miss to read this book. The book is available on Amazon at a very reasonable price. You can also purchase the eBook edition of this book there. The book is currently No 1 Bestseller Biography or Autobiography at Amazon. This is definitely a must read by every Indian. An autobiography of India's former president and an extra-ordinary scientist Dr. A.P.J. Abdul Kalam written with the help of Arun Tiwari. Wings of Fire enlightens the readers with the life of Kalam from his childhood to becoming the 'Missile Man of India'. It has seven sections which are - Preface, Acknowledgements, Introduction, Orientation, Creation, Propitiation, Contemplation and Epilogue. The book also have some rare pictures of Mr. Kalam. The biography of One of the most inspirational person on this planet - Malala Yousafzai. A brave pakistani girl who stood up against Taliban for Education in his country. This book describes her fight for education and how she was shot by the Talibani militants. An exceptional read, it is available on Amazon India with Cash on Delivery and also with free delivery facility. Swaraj is No 1 bestseller political book on Amazon. Available with both Cash on Delivery and Free Delivery, the book is written by Arvind Kejriwal and Maneesha Taneja. Kejriwal is an Indian politician and a social activist. The book was written when he was with Anna Hazare in the protest against corruption and proposed the Jan Lokpal Bill - a weapon against corruption. 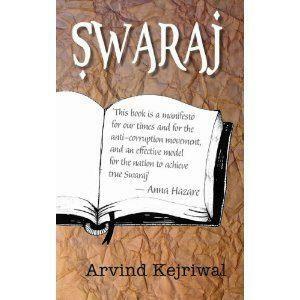 This book showcases the people how one can attain Swaraj which means Self-rule.